Earlier this month, we discussed why it was so important for women to become better negotiators. Today, we’re giving you 5 salary negotiation tips so you can negotiate the best starting salary offer once you land a job. So many people skip out on salary negotiation simply because talking about money makes them uncomfortable. But stepping out of your comfort zone can really pay off—literally! If you’re on board with negotiating, but don’t know how to go about it, here are salary negotiation tips to get you started. Many times, HR or your interviewer will ask you what you would like your salary to be, or they will ask what you were making at your last job. Never reveal your number first! By revealing your number first, you are giving the HR company the upper hand. You are both playing the game, and each one of you wants to get the best deal. If you reveal your number first, HR knows what they can offer you before you even knew what they were willing to pay. Bottom line: do whatever it takes to never ever reveal your number first. Here is a great article on how to deflect a series of questions when it comes to exposing your number first. Say they offer you a salary that you think is absolutely fair, and maybe even more than what you were expecting—still ask for more! Never take the very first offer because you can always ask for more. It never hurts to ask. Many people are fearful of asking for more because they are afraid the offer will be rescinded. But by the time the company is negotiating salary, they have already invested lots of company time and money to get to that point, and they just want to close the deal. They might stretch their budget to make that happen! Are they saying there is no leeway for salary increase? Then ask for other items. Perhaps more vacation time? Flex time? Cell phone reimbursement? Vehicle allowance? There are always other things that can be negotiated for when there is no wiggle room in salary. If you’re unhappy with what the company is offering you, but you would really like to take the job for the opportunity it provides, then request a salary review within six months or a year. Maybe they won’t have the salary now, but if you work hard and prove your worth, they may be willing to increase your salary when they see what a valuable asset you are to the company. 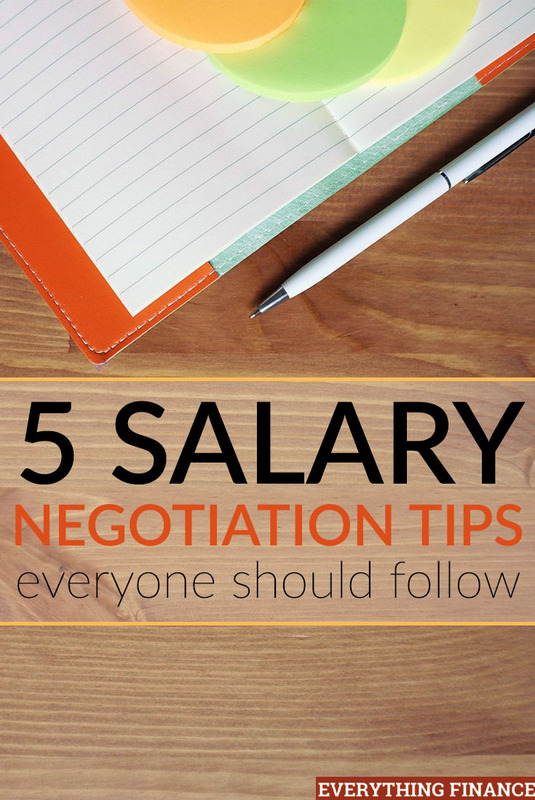 Do you have any other salary negotiation tips that have worked for you? Have you tried any of the above?